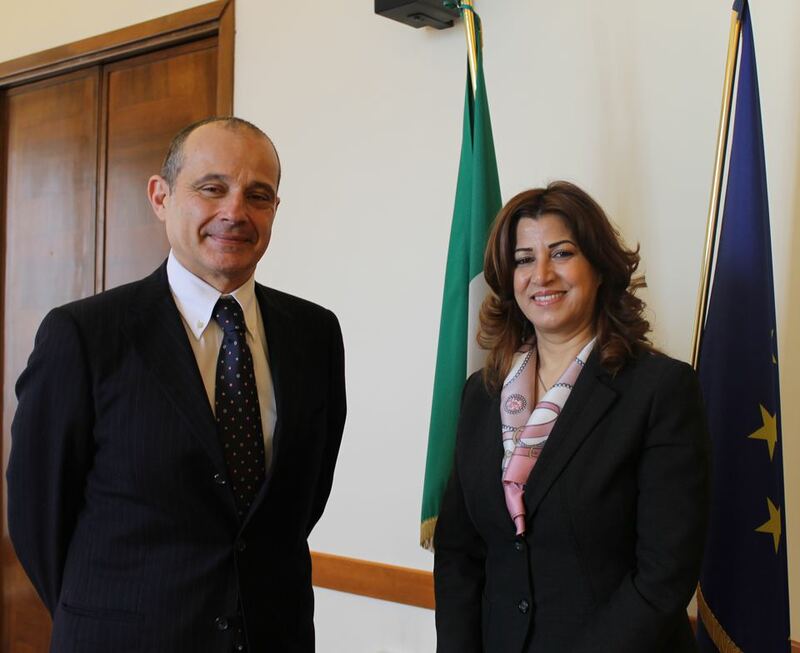 Today, the High Representative of the Kurdistan Regional Government in Italy, Mrs. Rezan Kader was received by the Min. Pl. Luigi Ferrari, Diplomatic Advisor to the Minister of Health, Min. Beatrice Lorenzin, at the Ministry of Health in Rome. The talks focused on relations between Italy and the Kurdistan Region, the 'current situation in the Kurdistan Region, the fight against Daesh terrorists and the grave humanitarian crisis. The Italian Government, stressed Mrs. Kader, plays a leading role within the international coalition and at military and humanitarian level. However, the situation has become unsustainable, also due to the lack of support from the central government in Baghdad. The Kurdistan Regional Government needs, among other necessities, medicines, hygienic - sanitary kits, medical assistance for the care of the wounded peshmergas, both locally and abroad. Cons. Ferrari has praised the courage of the Kurdish people and its peshmerga in the fight against Daesh, as well as the Kurdistan Regional Government’s immigration policy towards refugees and displaced persons. He added that, although the Ministry of Health does not have the resources to be allocated as humanitarian aid, however, it will exert its pressure in the context of collaborative projects with the Italian Ministry of Foreign Affairs in order to track down the priority areas in need of an urgent intervention. It may therefore seek to provide Italian structures of excellence capable of developing humanitarian interventions on site and those ones properly organized to receive and treat the wounded peshmergas on the Italian territory.